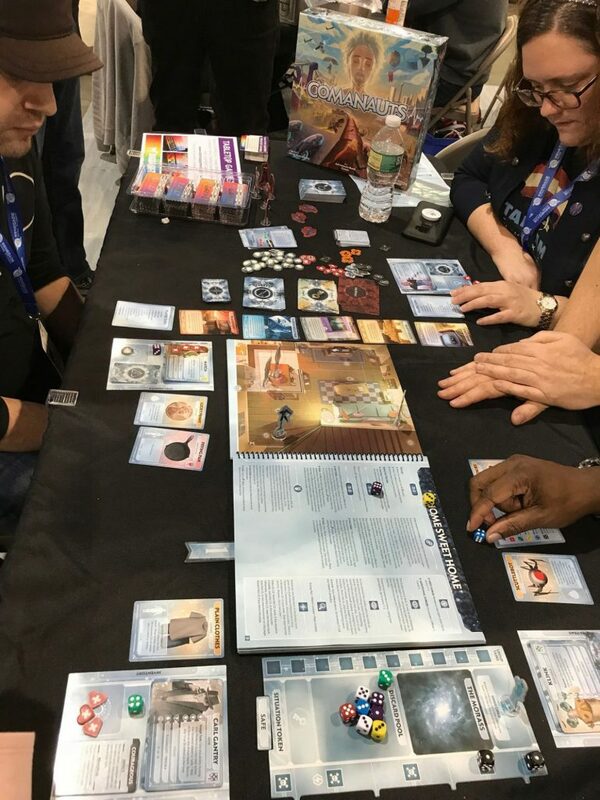 PAX Unplugged closed out the year of board gaming as one of the last major tabletop expos of 2018. We slide into 2019 with imminent releases of games that were last year’s dreams. 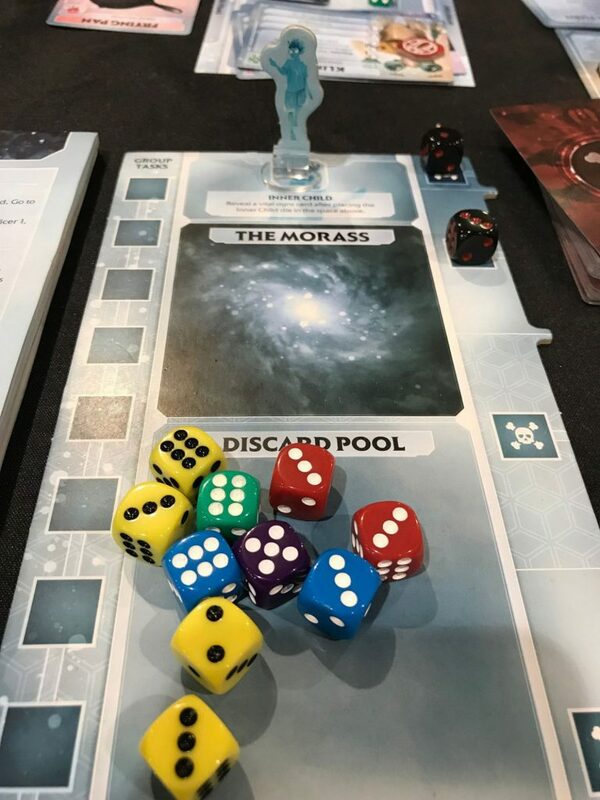 One such release for me is Comanauts, the second game in the Adventure Book series designed by Jerry Hawthorne and published by Plaid Hat Games. 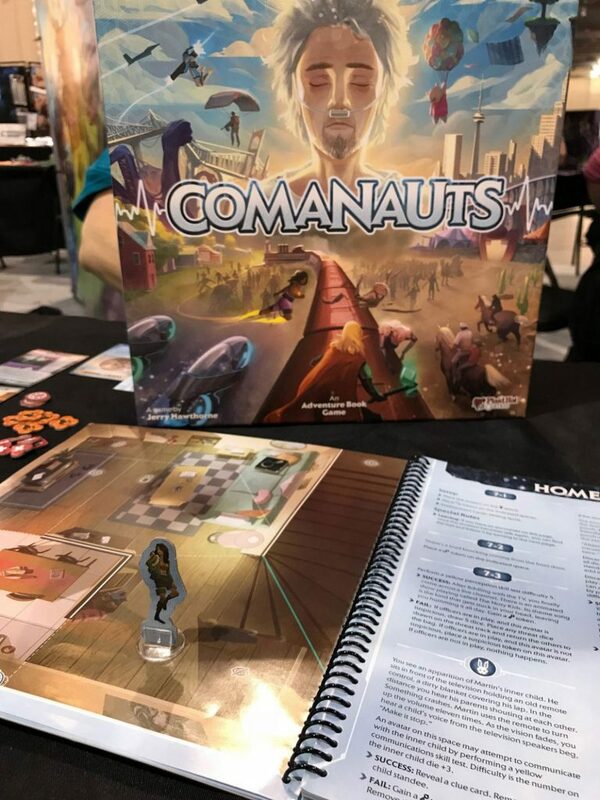 As I strolled around the Exhibit Hall at PAX Unplugged, I was pleasantly surprised to stumble upon a playable copy of Comanauts at the Plaid Hat Games booth (I may have squealed inwardly…then outwardly). 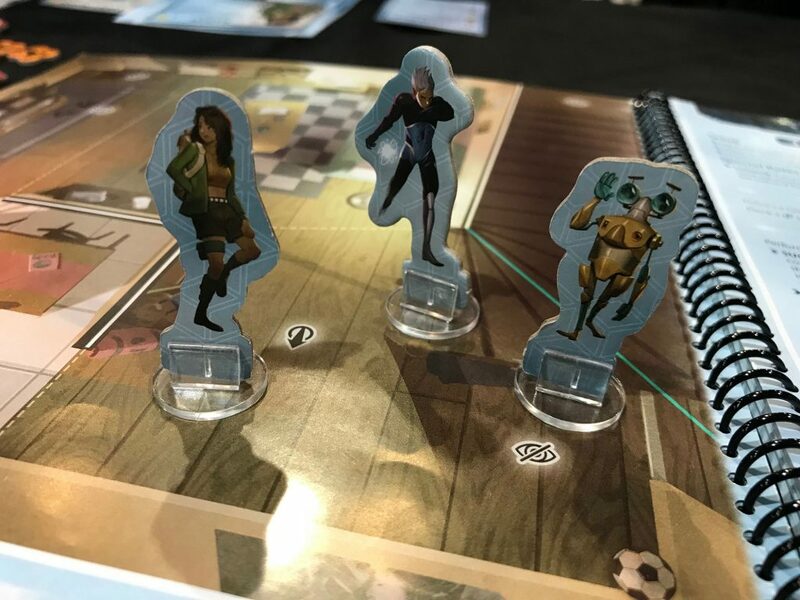 As a huge fan of Stuffed Fables, the first Adventure Book game, I made sure to save time in my itinerary to play Comanauts. 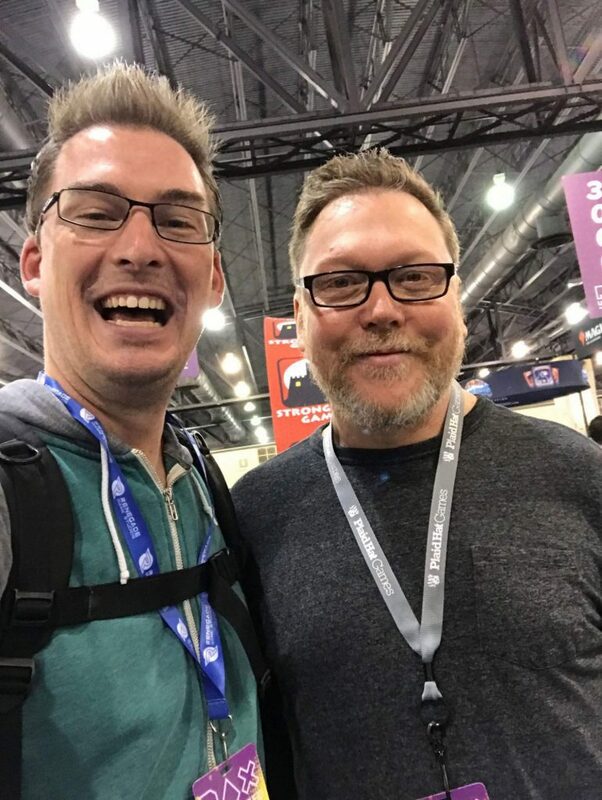 I was fortunate enough to play with designer Jerry Hawthorne who shared details about the game as well as the future of the Adventure Book series. In Comanauts, players will assume the role of avatars conjured from the subconsciousness of a scientist whose mind is trapped in a… you guessed it, coma. Players work together to advance through various “coma zones” in order to confront the Inner Demons of the unconscious man and seek guidance from his Inner Child. The subconscious setting creates an opportunity for an incredibly diverse cast of playable characters. In my demo, one player was a ghost-hunting junior sleuth girl (only missing the Mystery Machine), one player was a metallic robot (danger! danger! ), and I was a comic book superhero. Every avatar is tied to a memory of the scientist whose subconscious you’re exploring. I had a blast playing and am looking forward to investigating everything the full game has to offer. In addition to playing the game, I also had the chance to sit and talk with the designer. So read on to see more of my conversation with Comanauts designer Jerry Hawthorne! 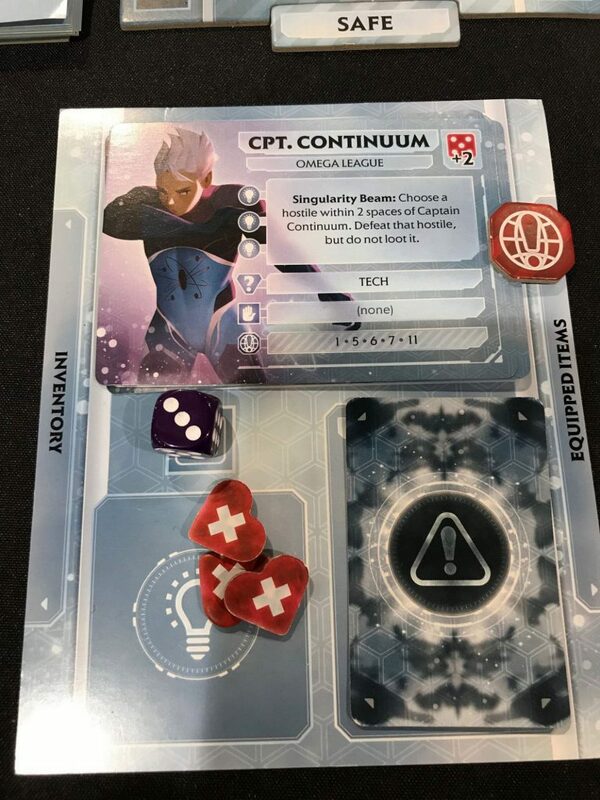 Justin: First, what can players expect in Comanauts? We hear that it has a more mature theme than Stuffed Fables. What differences are there? Jerry: Comanauts is a more mature game. It revolves around a man struggling with his inner demons, so the themes of the story are a bit more mature than Stuffed Fables. Also, Stuffed Fables is a “fail forward” game, meaning even if you fail you can still advance the story. Each chapter has a “Good” and “Not As Good” ending. Comanauts is a bit more challenging. Avatars can be killed and removed from play and it is possible to fail while playing the game. 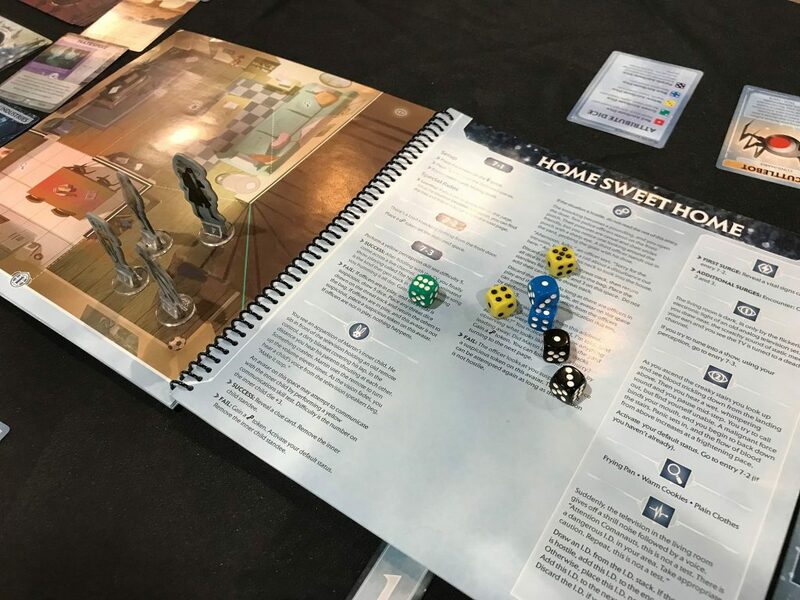 Justin: In regards to the production, everything is looking fantastic, but one of the most noticeable changes is that there aren’t plastic miniatures like Stuffed Fables. Comanauts uses cardboard standees. What was the reason for the change? Jerry: This was a necessity due to the theme. Stuffed Fables had a more limited environment and therefore only a handful of molds were needed for the models. In Comanauts we are using a much broader palette of environments and characters, so it would have been impractical to try and make miniatures for everything we wanted to represent in the game. We needed the components to fit the themes in the story. Justin: Stuffed Fables was the first Adventure Book game published by Plaid Hat Games. Now we have Comanauts. Can we assume this is a series of games? Will there be others? Jerry: There will be other games in this series. I am working on other games now. Each game in this series will have completely different themes and settings. Justin: What about more content for Stuffed Fables? Since there are future Adventure Book games in development, will all the attention shift to those new games? Or will there still be content coming for the older Adventure Book games. Jerry: Yes there will be an expansion coming for Stuffed Fables! We aren’t done with that one yet. Justin: For the future Adventure Book games, will the gameplay be similar? Will it use a similar “draw 5 dice” mechanism? Jerry: Not necessarily. Future Adventure Book games may have different mechanisms. Without giving too much away, one we are working on now will be card-driven instead of dice-driven. The Adventure Book component will still be a core part of the experience. There are many more surprises that lie in store in Comanauts. Be on the lookout for a full review here at Meeple Mountain!